As for what this "new beat" Daisy Ridley is referring to, that is obviously unknown at the moment. J.J. Abrams has admitted the Resistance is about to go up against their greatest threat so far, which makes us automatically think of Emperor Palpatine, but how could his return effect the ending? It's honestly way too early to even try and speculate about what could have changed during the course of the production, especially since it's still being put together. 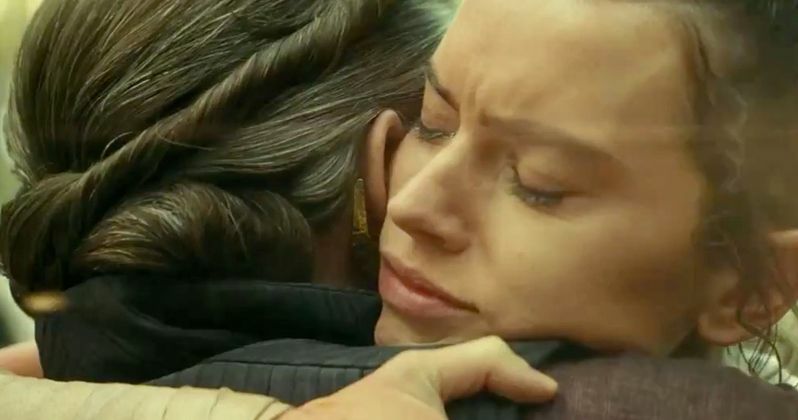 A lot can change in the post-production process, and where what Daisy Ridley thinks the ending is could very much change again. There's still a little over 8 months before The Rise of Skywalker hits theaters, which is plenty of time to change things around yet again. Ridley and the rest of the cast might be just as surprised as general audiences when the movie premieres at the end of December. J.J. Abrams has a lot of work to do on The Rise of Skywalker, and much like Avengers: Endgame directors the Russo Brothers, he will deserve a long vacation when all is said and done. The pressure to bring the Skywalker saga to a close is a huge deal and Star Wars fans are going to be looking at the movie under the microscope when it hits theaters in December. For now, fans are just happy to finally have the official title and first footage for the moment. You can check out the interview with Daisy Ridley below, thanks to Fox 32 anchor Jake Hamilton's Twitter account.